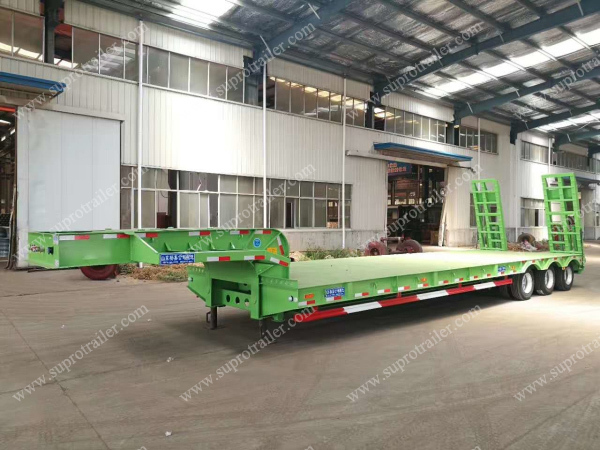 Supro Trailer produce "Low bed trailer" and Flatbed trailer. 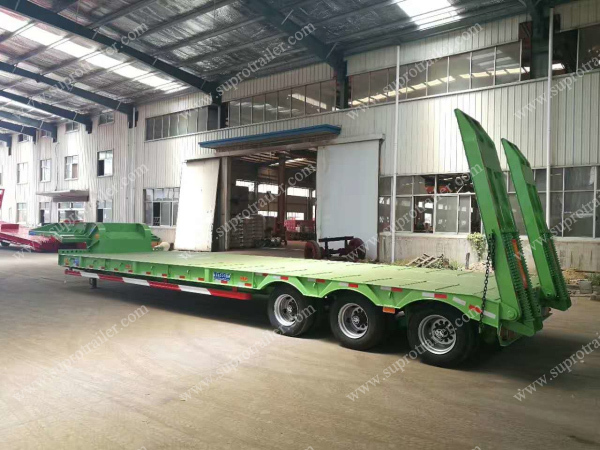 The cargo platform of the Low bed trailer is lower than Gooseneck and the Tyre platform. 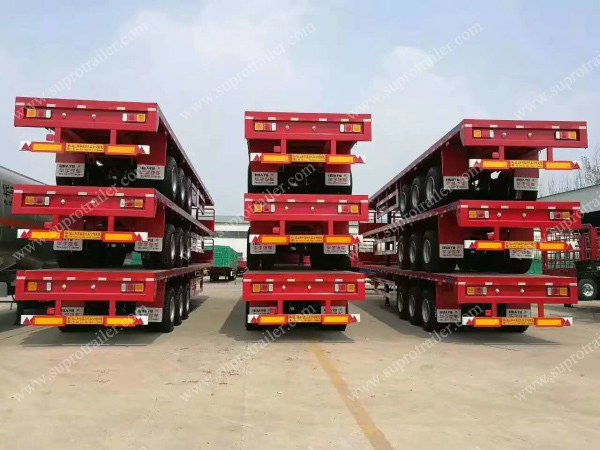 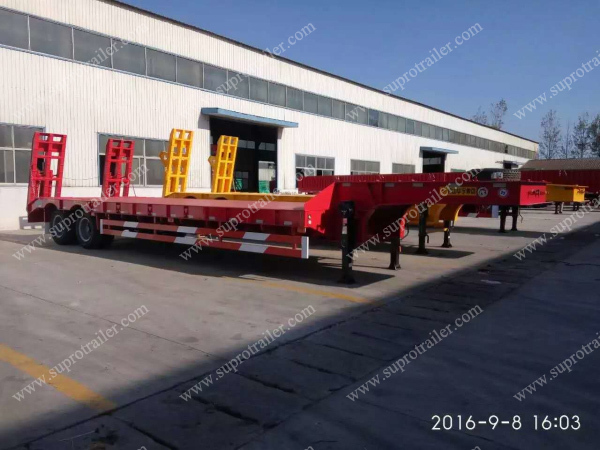 The flatbed trailer could has no goosenck, or has the gooseneck and the cargo platform is same height with the Tyre platform. 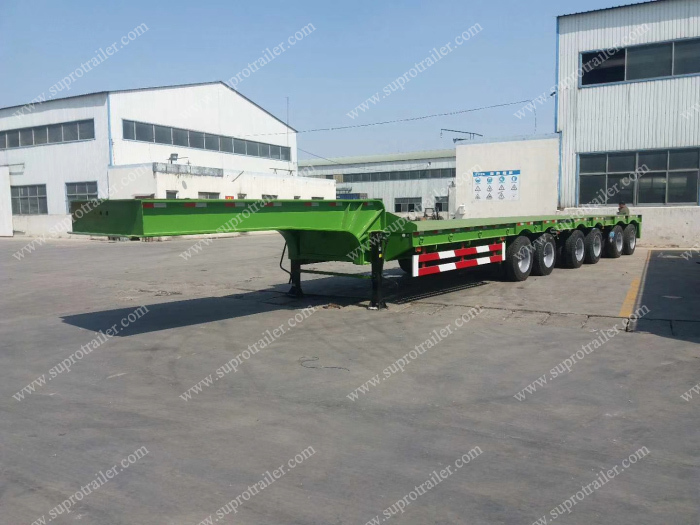 The trailer has a turntable above the platform, it is for long cargo transport such as Bridge gird, Long pipes. 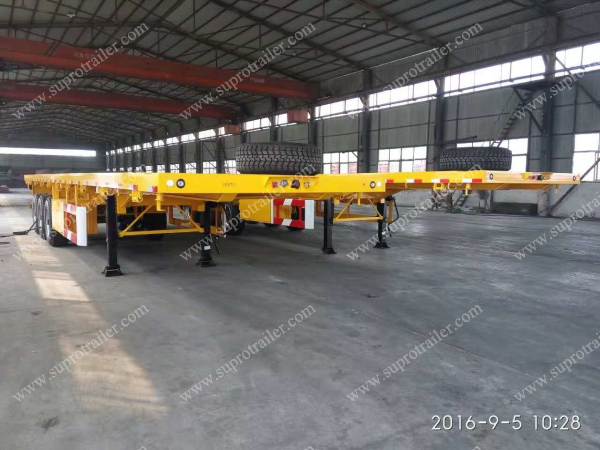 The turntable could steer +30/-30 degrees. 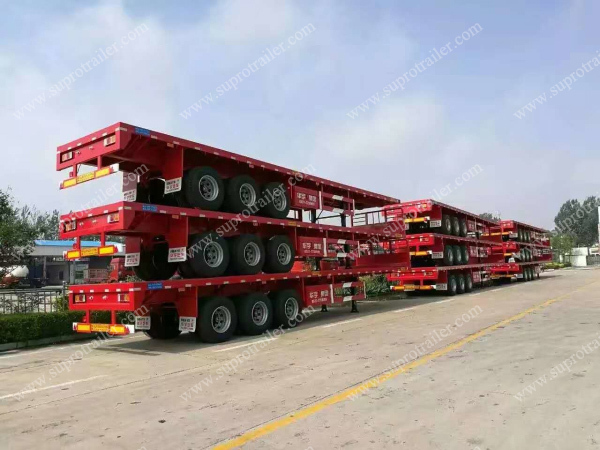 The loading capacity of the trailer could beyond 100 tons. 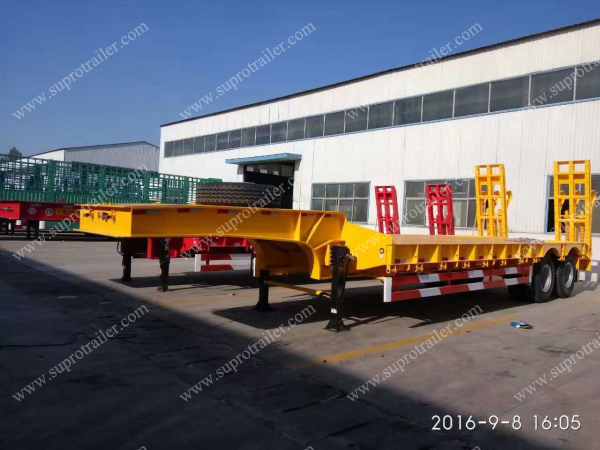 And also, Supro Trailer produce "Turntable with Hydraulic modular trailer" to load much heavier cargo! 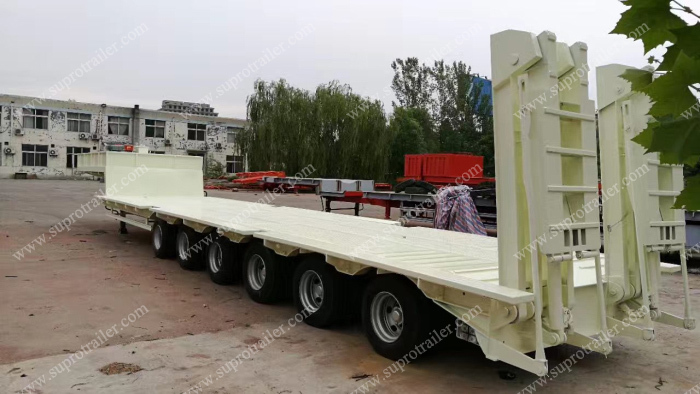 We could customize the dimension and loading capacity of the trailer. 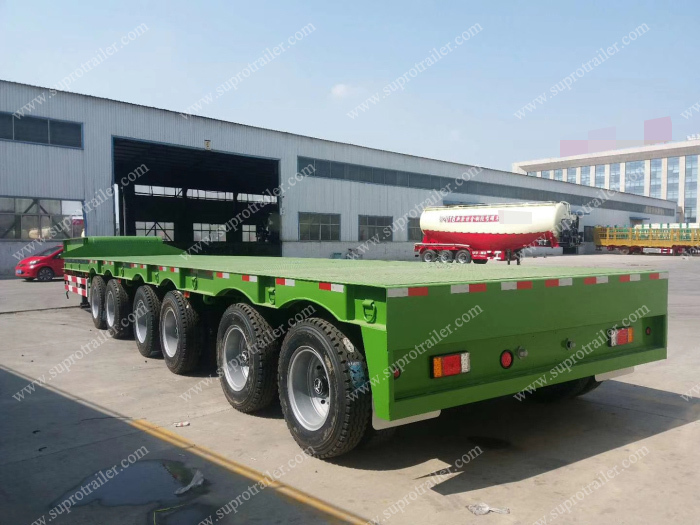 The multi axle flatbed trailer should have steering axles. 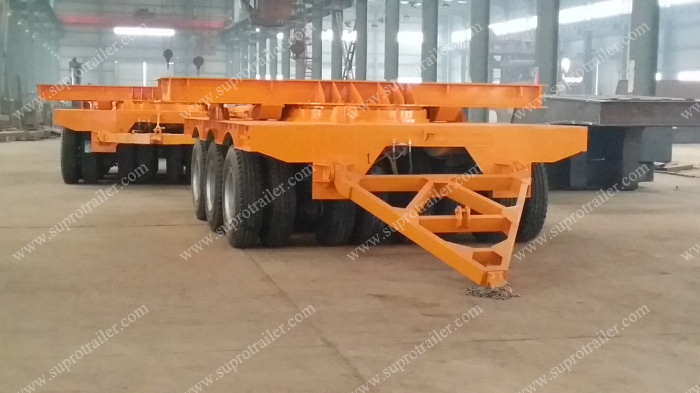 And Supro Trailer designed two steering structures of the multi axle trailer. 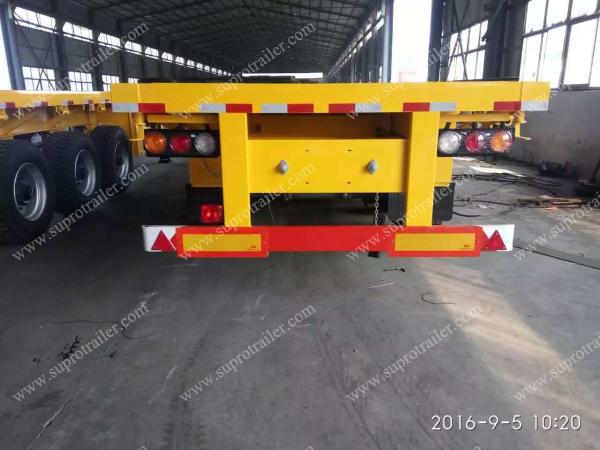 One is "Pneumatic steering trailer", and the another one is "Hydraulic steering trailer". 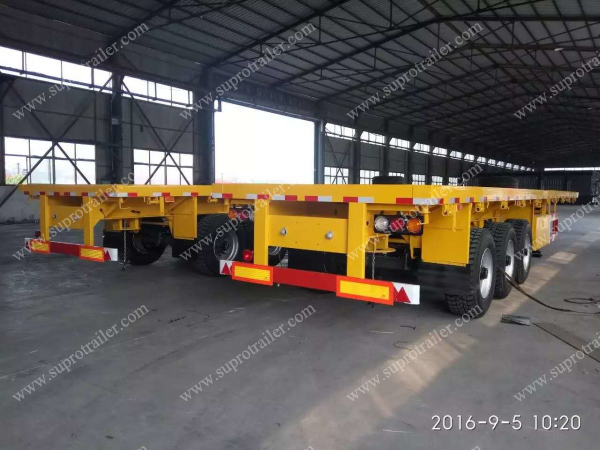 The price is pneumatic steering trailer is more better. 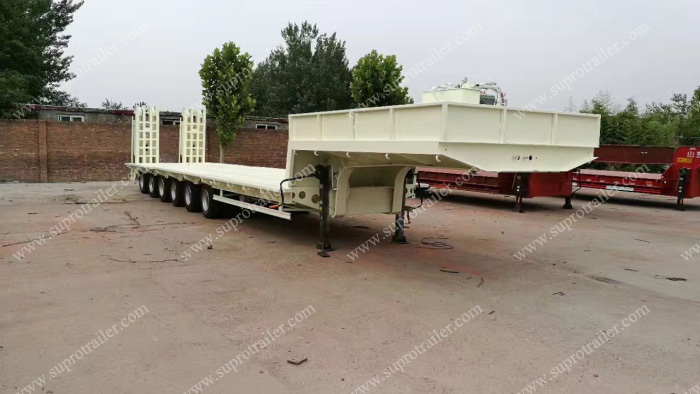 Supro Trailer could custimize the flatbed trailer has drop sides to transport break bulk cargos. 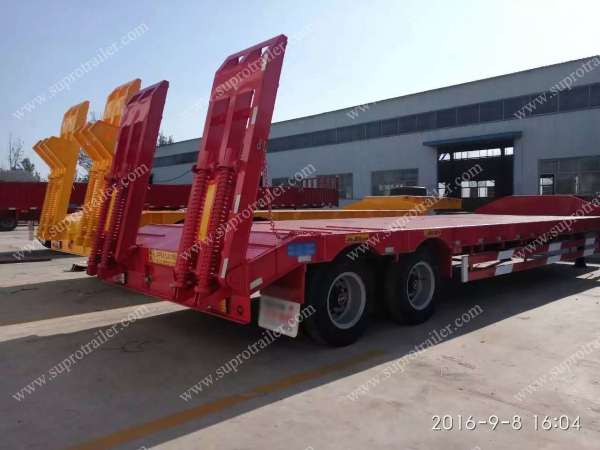 Supro Trailer produce normal 20ft and 40ft "Container trailer" and also we produce special container trailers such as "Tipper container trailer", "Side loader container trailer" and "Extendable container trailer". 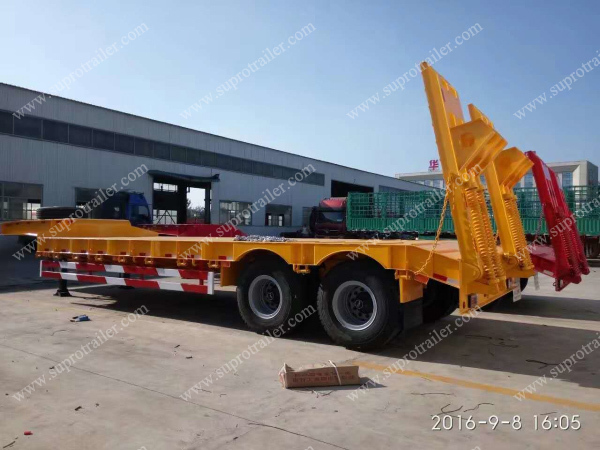 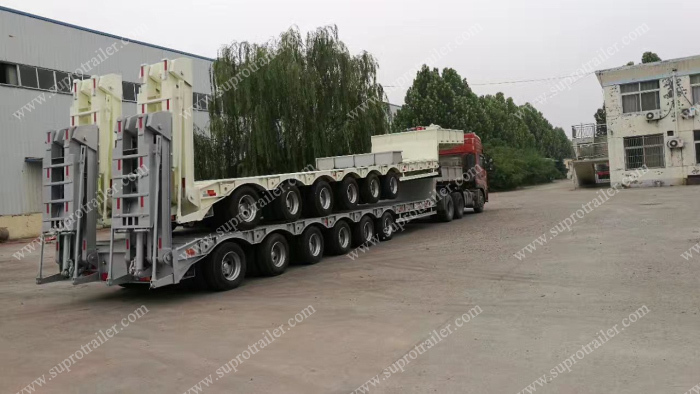 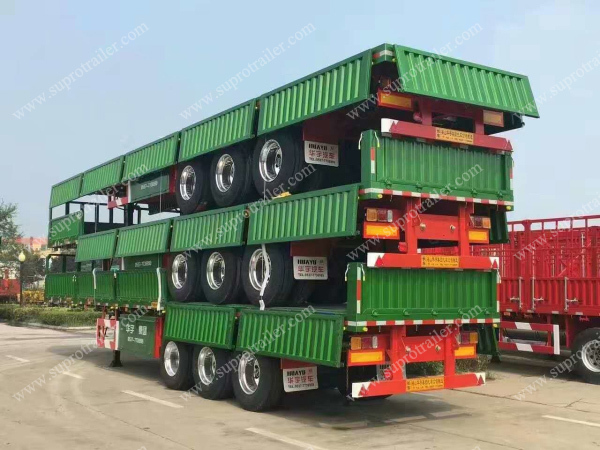 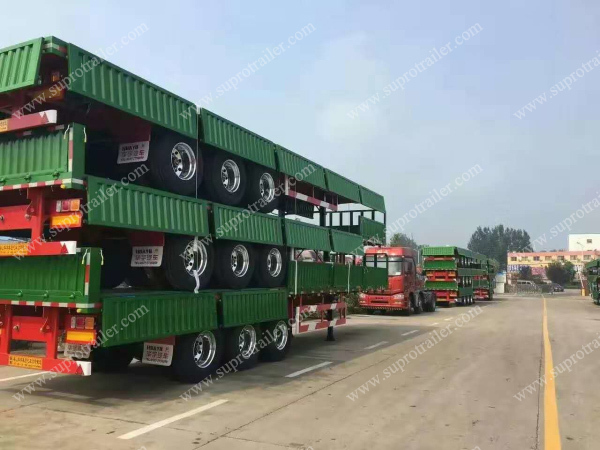 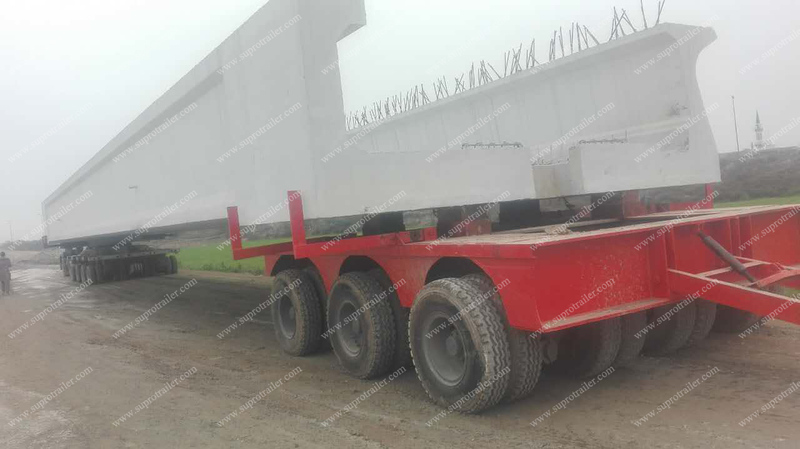 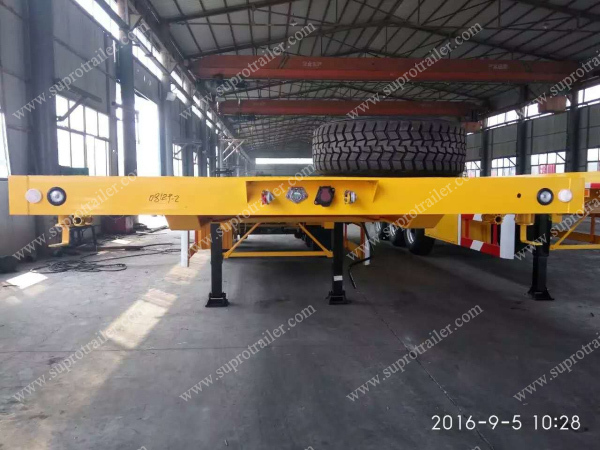 For more detail photos of the Semi Trailer, please visit the link of " Performace Case of Semi Trailer"
Supro Trailer has a modernzing factory workshpes and automatic production line of the semi trailers. 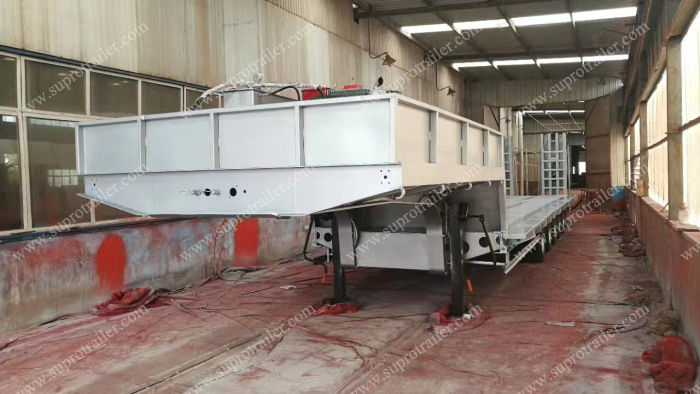 We have Robot arm welding, Automatic sanding and painting, 3D loading test laboratory etc. 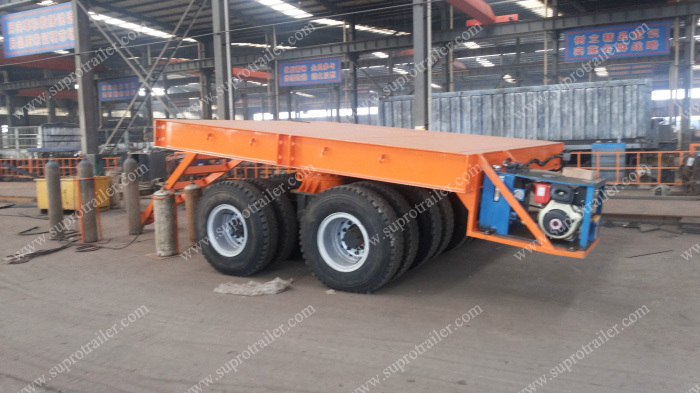 So that Supro Trailer provide high stardard quality semi trailers to the globe market!